New Profit has six active funds for supporting visionary social entrepreneurs and bringing them together with change agents from other sectors, including policy and business, to take on big systemic challenges. From early childhood learning to K-12 education, workforce development, and public health, we are pushing the boundaries of problem solving in collaboration with amazing partners. The New Profit Innovation Fund is our learning lab for identifying and catalyzing the best social impact organizations in America. This year, we have raised $5.3 to support leaders like Phyllis Locket and Mauricio Lim Miller. Phyllis runs LEAP Innovations, a Chicago-based nonprofit that connects innovation and education to reinvent our one-size-fits-all system and transform the way kids learn. Mauricio runs Family Independence Initiative, an organization that invests in the ingenuity and initiative of low-income families and communities. We wrapped up our first Accelerator focused on female social entrepreneurs and have selected our next cohort which is soon to be announced. We are advancing two promising organizations – one in public health and one in literacy - into the final due diligence phase this summer. We are also piloting new tools created by our Portfolio Performance and Support team including those on board development and supporting senior teams. The Early Learning (EL) Fund’s mission is to incite new thinking, wider experimentation, and leadership development to help transform programs and policies for the benefit of America’s most vulnerable young children and families. This spring, the EL Fund shared a synthesis of its strategy with the fund community. The team is building off of this strategy in launching the fund, including exploring a set of initial investments that will be announced by the end of this year. Priority areas for investment are: 1) family and parent engagement; 2) high-quality preschool; and 3) technology in early learning. Grounded in a “national problems, local solutions, national impact” framework, the EL Fund will also develop a network of “regional innovation clusters” composed of city-, county-, or state-based initiatives that bring together local leaders and entrepreneurs. The team is exploring potential opportunities for a regional pilot in Boston, while crafting a set of selection criteria for other innovation clusters. Reimagine Learning engaged our Advisory Board in early thinking about the future of the Fund; the group emphasized strong potential given policy shift and momentum emerging in school practice change. Through America Forward, the team is focused on maximizing ESSA, informing the Presidential candidates, and engaging state leaders in support of complex learners. Our final set of grantees will be announced in July. The Fund’s regional impact work is underway, including partnership with Salem Public Schools to create a strategic plan to supports diverse learners and partnership with Lawrence Public Schools to codify bright spots of innovation. The annual conference in mid-July will bring together 120 attendees to share learnings and catalyze aligned action. Powerful sessions on the overlapping challenges facing diverse learners, understanding how to personalize learning to support all students and lessons from districts that have brought student-centered learning to life with youth involved are on the agenda. The goal of the Reimagine School Systems (RSS) Fund is to increase the number of high-performing schools serving low-income students by scaling high-quality operators and removing the political and policy barriers to systemic change. RSS is currently funding and providing strategic support to Innovate Public Schools and Match Education, and has made targeted investments in Education Cities, Polis, and GO Public Schools. In addition to funding and advising great individual entrepreneurs and organizations, RSS is also developing powerful practitioner networks to drive systemic change. RSS is supporting the creation of a national network for organizations working to inform and empower parents to effectively act in demanding changes in their education systems. Similarly, RSS is exploring how to build a collaboration between a small number of high-performing school operators and nonprofits to share their best practices, tools, and lessons and disseminate them digitally to benefit all educators. An inaugural grantee of the Social Innovation Fund (SIF), the Pathways Fund’s mission is to strengthen the bridge between education and workforce development to foster opportunity and access for low-income youth. 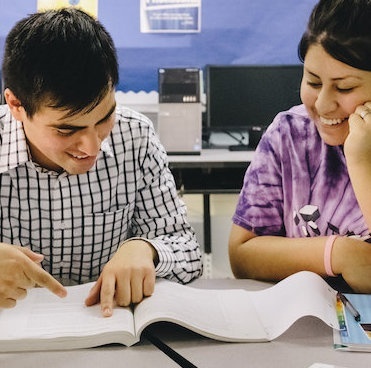 Pathways supports six college access/success organizations: College Advising Corps, College Summit, iMentor, Single Stop, Year Up, and YouthBuild. The Pathways Fund will close this year, as our five-year SIF grant ends in December 2016. For the last two years of the initiative, the Pathways team has continued to provide technical assistance to the six Pathways organizations and engage the Pathways learning community and broader SIF community through convenings and advocacy efforts. We have also introduced targeted support around financial sustainability and evaluation. In our last year, the Fund's focus has been on capturing and sharing 1) results achieved by the Pathways Fund, including network-wide accomplishments and individual Pathways organization’s impact outcomes and organizational successes, and 2) lessons learned in managing the Pathways Fund, in particular those that are relevant for the college access/success field, SIF community, and philanthropy more broadly. The Learn to Earn Fund, which seeks to incentivize disruptive innovation to help develop 10+ million more career-ready Americans by 2025, has accelerated its work over the past six months. In March, the Fund kicked off the design phase of a Power Skills XPRIZE - a competition focused on identifying more effective, scalable ways to develop a key set of skills that employers say are critical for success, but are largely underdeveloped by our existing K-12 and higher education systems. Simultaneously, we’re building the College Access and Success Learning Lab - a learning community of high performing social entrepreneurs and other funders meant to support the growth of great college access and success leaders and to facilitate collaboration between them.